Originally published in the Journal de Montréal on June 11, 2011. June 12 is a national holiday in the Philippines, as its people celebrate the end of Spanish colonialism that occurred on June 12, 1898 following a popular uprising. So tomorrow will be a day of huge festivities not only in the archipelago of 7,100 islands, but also here in Canada, where 400,000 Filipino immigrants live. Many of them will use this occasion to prepare traditional dishes from Philippine cuisine, whose Malayo-Polynesian origin is often coloured with several Spanish, Chinese and American influences. My favourite dish is the ‘adobo chicken’. Even though the name ‘adobo’ sounds Spanish, this way of preparing meat originated in the Philippines. This dish consists of marinating the meat in soya sauce, vinegar, garlic and spices, followed by stewing or braising it and often finishing it on the pan or grill to get a crispy skin. Each family has its own variation and traditionally prepares this dish for those who are going on a journey, as vinegar inhibits the growth of bacteria. 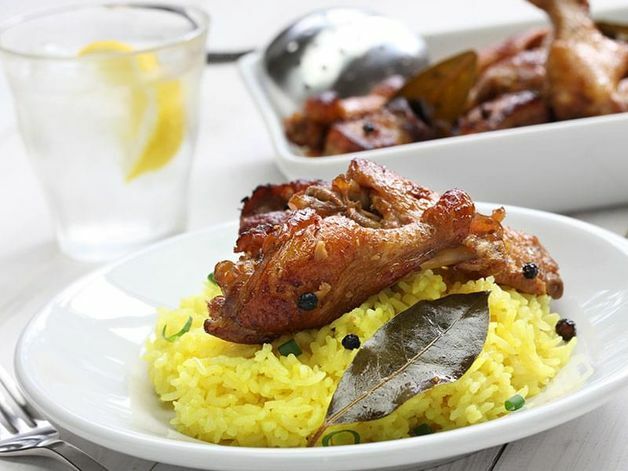 Try our recipe for Chicken “Adobo”.